Highschool Programmer goingt into Computer Science in University! It’s post Ludum Dare Blog! Here I will talk about went well and what went bad! I was able to distribute the game for you to play! The graphics were okay but could have been better, but hey it’s simple right? I got to learn how to stream on Twitch and got some feedback when I was doing it! I was able to make ammo and health and enemies respawned into the map once you collected it! I spent the first night on one idea but it turned out I wasted 2 hours on it and could have gotten more sleep as it was 12 am when I went to bed. I came up with a new idea the morning of the second day which worked well! I need to spend more time on the idea so it will be a better game before I start coding! I need to think of a better title and overall goal of the game. Make more of a story for the game and not make it so simple. Don’t spend too much time worrying about people watching you on twitch, it can be a distraction so I may do the next one with just a longer time lapse. Make sure that you have fun playing the game! Even though I had fun playing it I still got bored after a while! I’m really happy I participated in this LD it’s cool to be a part of something like this and finish a game! Which I rarely do because I don’t have a time limit or deadline and just get bored of making it and think of an idea that seems cooler! I want to do better for the next LD so I will definately learn HTML5 and try to get that to work! Is there a good place to host HTML 5 games on the web that everyone can access like a portal website for games? Or can you get a free website and host it there? I know you can use dropbox but sometimes it may be hard because everyone’s trying to access it. Rate it and please give me feedback in a comment so I can improve! Have a great week of judging! I will probably do a few games per video! Will give links to the games in the descriptions! Subscribe if you want to see me play your game can’t wait to try it out! I just finished my LD48 Compo Game called Square Circle Space Hunter!! Hope you all can finish! Great experience and makes you finish the game! Really recommend you doing it! I woke up this morning and while I was eating breakfast I thought of a way better Idea then I had last night!! 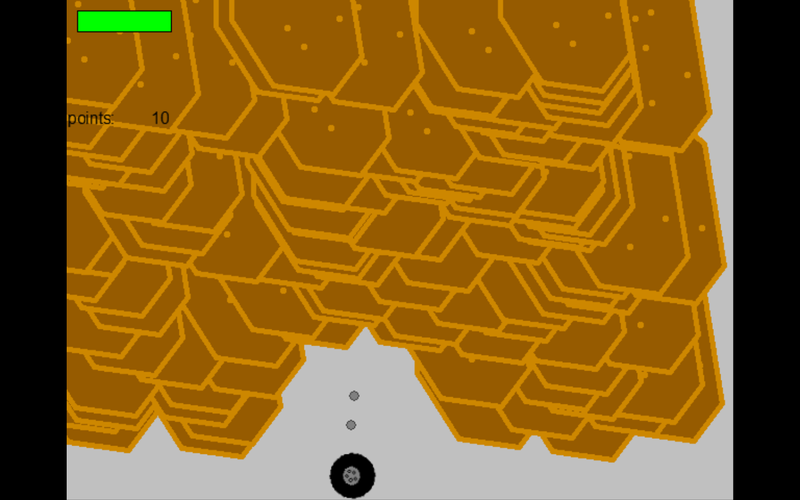 It’s a minimalism Space Shooter!! basically the idea is that you have these reddish circles that spawn randomly and you have to kill them while flying in your spaceship and shoot them with bullets! The purple square is an enemy that spawns inside the circle and flies after you! You must destroy it before it destroys you! The Blue circle is ammo reload to make it harder! Once you collect it, it respawns a new one in a random place on the map!! May get rid of the ‘A’ on it and just have a blue circle and a red and white circle for a health package! on grass that will have to interact with other simple objects to do simple things! Minimalism! How you enjoy losing me of ideas haha! Don’t know what to do with it yet! Hopefully I’ll figure out something in my sleep! Had fun Streaming! Will stream tomorrow! I’ve Decided to do the Ludum Dare Compo! If I can’t do it I’ll just enter in the Jam! Anyone else feel this will be the longest 10 mins in their life? I will be streaming a bit tonight and more tomorrow of my programming in the Ludum Dare! Would love your input on my game and Have fun with you! Hi Everyone! This video I explain my Plan for what I am doing in the Ludum Dare 26! You may want to take some of my plan and add it to yours! Have a great weekend of hard work and fun! If you want, you can receive Ludum Dare Jam Updates from CablePlays on my Twitter account: @CablePlays or YouTube account: CablePlays where I will be doing updates of my progress! I also Connected my YouTube account to my twitter account so you can see the videos when I upload them! Follow me and I’ll follow you back because I want to see how you are doing in the Ludum Dare! Is there a site that can host applet’s so that people don’t have to download the files? Or would it be easier and work better to just let them run the html file locally? I have seen Java Games be hosted before online I just don’t know how to do it! Also could you also use libraries like slick2D or LWJGL or JBox2D in your applet and they could still play it? Please help me if you have any answers! I’d like to use Java for the next LD because of the cross Platform accessibility! Comment if you have an answer! Hi Everyone! I am participating in the LD 26 Jam! This will be my first time! This is my work space setup! I have paper, pens, Sennheiser headphones, Custom Desktop Computer and a Nerf Gun to release my stress! I will be doing game update videos and Vlogs after it starts and showing you big progress I made! I will also be doing a time lapse of the making of my game with ChronoLapse! Using Gamemaker 8 Pro and making my own music! Subscribed to my channel to be updated! 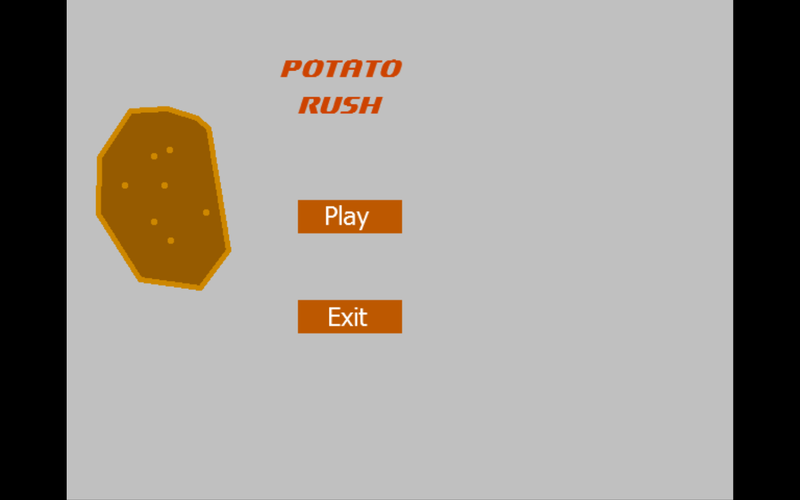 I made a short Game called Potato Rush! Want to have some fun before the Stressful Ludum Dare Competition! Play this MiniGame!! Made in less than 3 hours! Since I’ve been seeing the potato theme being thrown around a lot I thought why not help us take out our anger on virtual potatoes! Just use left mouse button to shoot the falling potatoes and destroy as many as you can before you loose all your health!! I am entering in the Ludum Dare Jam, But if I do finish in 48 hours I will enter into the Compo! I am using GML and Gamemaker 8 Pro. Also using Acid Xpress to make music! This is my first time so I’m pretty excited!